Are you planning a vacation in East Europe with your family? Or wondering which are the best cities to visit in East Europe with kids? Perfect, this post is for you! Dawn from 5 Lost Together: I loved our family trip to Athens! I had heard mixed reviews about Athens before we visited, so wasn’t sure what to expect. It ended up being a city we loved visiting with kids, full of rich history and culture! You don’t have to work hard to experience the history of Athens; ruins thousands of years old rise up against modern city streets. For most visitors the Acropolis is the main attraction of Athens and there are lots of tour companies that specialize in tours for families. 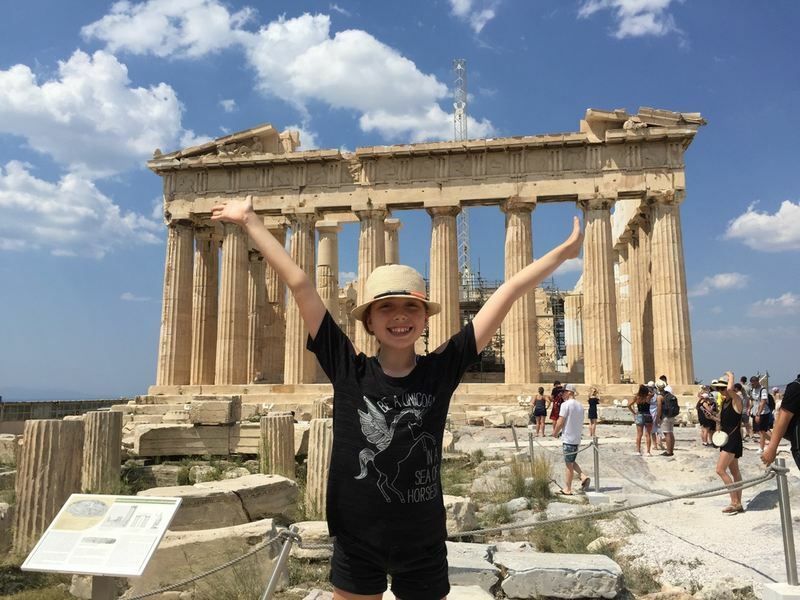 For our Percy Jackson obsessed daughter she was in heaven hearing about the different buildings and the connection to Greek mythology. Another highlights of our Athens family trip was a food tour with Athens Food on Foot, where we tasted our way through the city. Greek food is world-renowned, but it was amazing to visit hidden gems with the expertise of a local. We loved wandering the compact neighborhoods of central Athens, eating al fresco in the streets on the warm summer nights and enjoying the views from the top of Lycabettus Hill. Athens has a distinct feel from other cities in Europe and makes for a great place to visit with kids! Stephanie from Sofia Adventures: Belgrade is one of my favorite cities in Europe and it has great options for families traveling with kids. 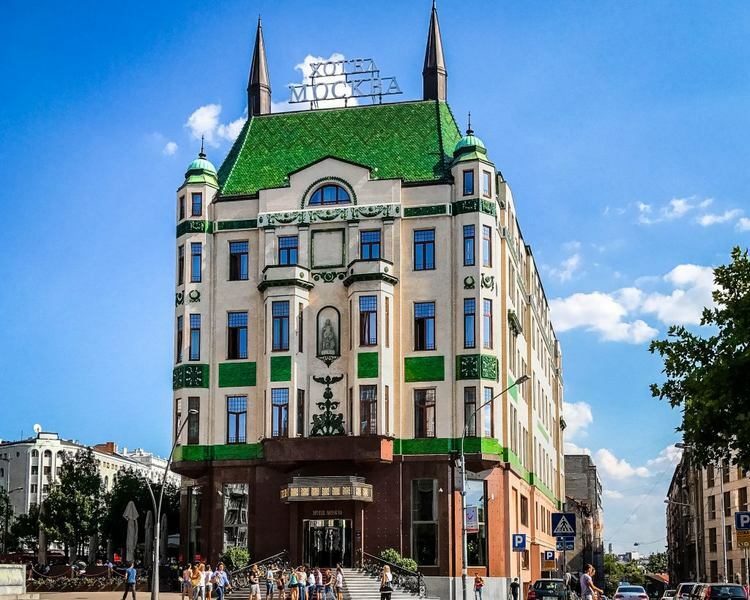 Some of my favorite things to do in Belgrade include having cake at the Hotel Moskva, exploring the city’s unique communist architecture and enjoying the city’s great food culture. Families traveling East Europe with kids should make sure to visit the Nichola Tesla Museum, which offers tours that include electricity experiments. The children on our tour were absolutely delighted when the Tesla coils lit up the light-bulbs they were holding like light-sabers. The city also offers opportunities to explore World War II history by visiting the monument dedicated to the Concentration Camp that was located in Novi Beograd during the war. There is also a Nazi ship that’s been restored and turned into a restaurant and cultural center. Belgrade is also a great family destination because it’s easy on the budget. With services and amenities comparable to Western Europe, but at Eastern European prices, families can stretch their travel budgets much further here! The city also has tons of free things to do. As it sits at the confluence of the Danube and Sava rivers, there are plenty of beaches, river islands, and other fantastic green spaces to explore. A perfect way for your kids to blow off some steam after a morning spent in a museums and other cultural site. Gabor from Surfing the Planet: Budapest is one of the most beautiful cities in East Europe and a perfect destination for all kinds of public. Many of the best things to do in Budapest are perfect to visit with kids. There are the amazing views you can enjoy from either the Buda Castle or Gellért Hill. Furthermore, Budapest is famous for its thermal baths which you can enjoy both in summer and winter (when the outdoor pools are often surrounded by snow!). Budapest is a great culinary destination with lots of local dishes your kids will enjoy. Be sure to try some goulash or stuffed cabbage in the (cheap) local restaurants. 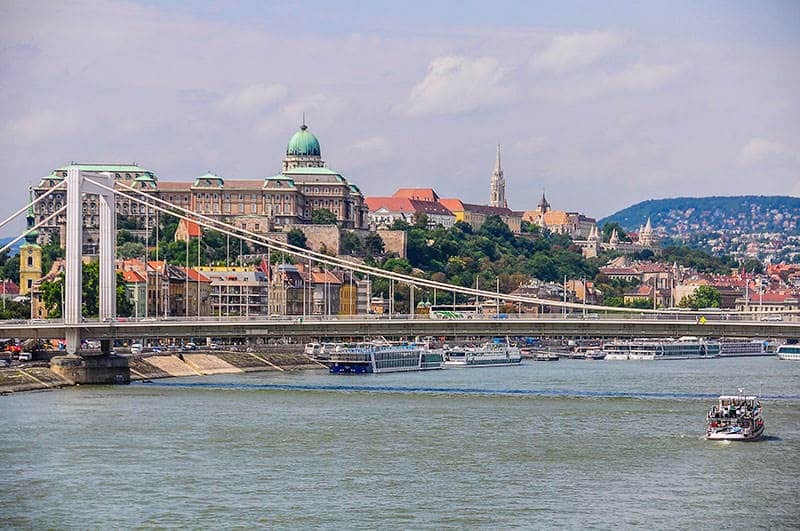 To get around in Budapest, the best thing to do is purchasing a weekly ticket which is valid on the entire public transport system (including the boats). 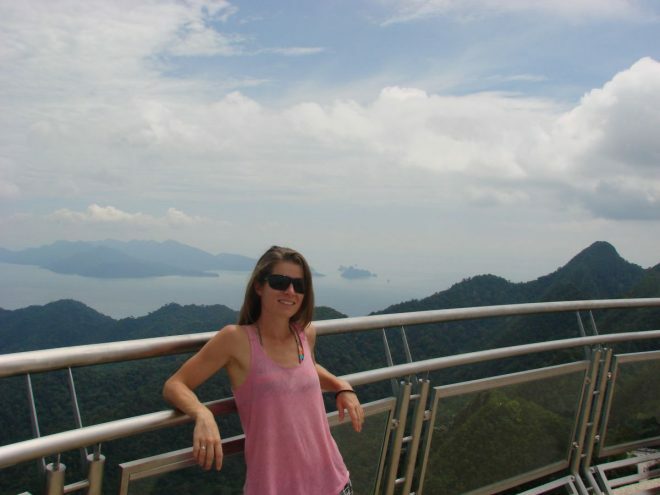 Rachel from Adventure and Sunshine: when I first set eyes on Dubrovnik, it was as spectacular as I had imagined. 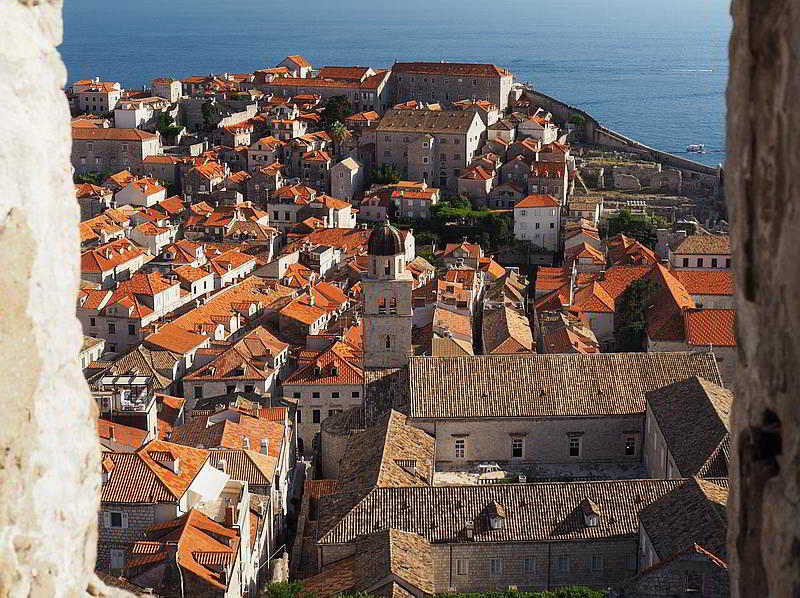 A medieval walled city, sitting on the edge of the Adriatic Sea in Croatia, it has to be seen to be believed. We were staying in the nearby town of Mlini and caught a small water taxi to Dubrovnik, it was the perfect way to arrive in this imposing city! Surrounded by solid stone walls and two drawbridges leading into the city, it is like stepping into a history book. You can imagine the city as it might have been hundreds of years ago, with knights on horses entering the city and soldiers watching on the wall. Our best tip and a great family activity is to walk the city walls. It is about 2km to do a full loop, although you can exit at a number of locations along the way. This walk gives you the best view of the city from every angle. When you reach the seaward edge of the wall, look for the divers leaping off the rocks into the sea below. There are also a number of small bars on this side of the wall to grab a drink or an ice cream for your kids (and yourself;-). Once you come down off the wall, take a walk through the tiny alleyways within the city. We wound our way through the cobbled streets, discovered gorgeous doorways, a good number of animals and pretty outlooks into the plazas below. To make the most of the outdoors, we recommend you make time to head to one of the beaches nearby. If you have older kids, rent a kayak or book a day sailing out on the water. Dubrovnik is a great family destination, but note that it is hugely popular, both with tourists and cruise boats. It also gets incredibly hot in summer. We recommend planning your family visit out of peak season so you can escape both the crowds and the heat. Lindsay from Carpe Diem Our Way: Istanbul’s position as the gateway between Asia and Europe has made it strategically important for thousands of years. 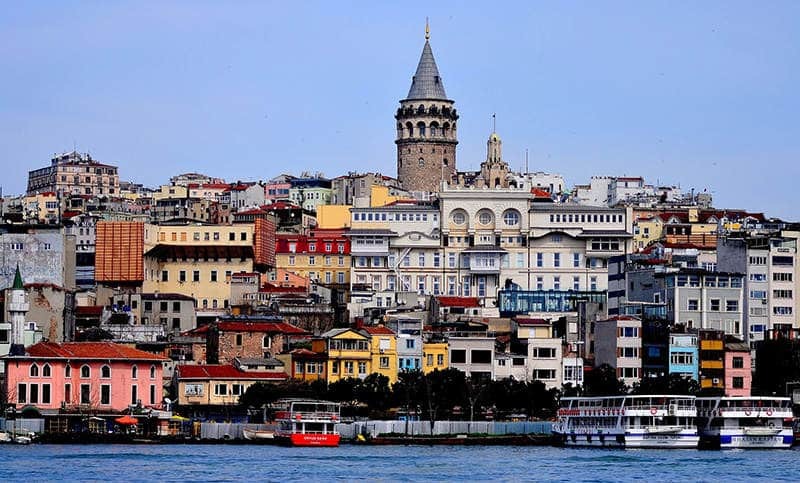 Straddling two continents, it has a rich history ranging from Roman to Byzantine to Ottoman. This has led to ancient and very diverse architecture as seen in the Hagia Sophia, the Blue Mosque, Topkapi palace and underground wonders such as the Basilica Cistern. There is no shortage of things to do with kids in Istanbul! Families can marvel at the architecture, eat their way around the food markets, enjoy a ride on a boat on the Bosphorous or enjoy views of the city from rooftops. Your kids will also enjoy strolling around the Grand Bazaar or trying a cup of Turkish tea. Finally, do not forget to sit and watch the melting pot of cultures, as people from all over the world come to marvel at the history of Istanbul. Jeanne from Learning to Breathe Abroad: Montenegro is the gem of the Adriatic and Kotor is its crowning glory. The city of Kotor has the most stunning scenery, sitting nestled in a valley on the edge of the magnificent Bay of Kotor. The Old Town is surrounded by immense fortified walls that continue up into the mountains above, forming a 4.5km circle of protection around the city. These walls are lots of fun for kids to clamber upon, even better is to hike up to St. Johns Fortress. It’s called the “huff and puff” trail due to the 1350 steps you need to climb, but kids of all ages can easily manage it. Kotor is also known as the “City of Cats” and you’ll find lots of furry bundles to cuddle everywhere you go. A visit to the unique cat museum is fun and your €1 entrance fee goes towards feeding the strays. You can even signup your own cats as members for the small fee of €2. The small beach just outside of the old town is a great place to relax and let the kids have a swim. We also found some of the best gelato in the Balkans here. 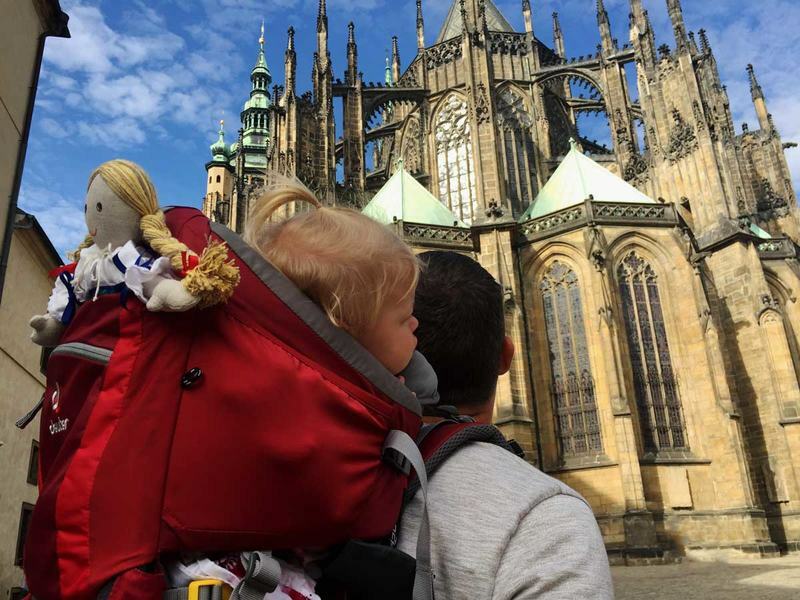 Melissa from Parenthood and Passports: Prague in the Czech Republic is a Central European gem and one of our favorite cities to visit as a family. Many restaurants, businesses and other establishments in Prague welcome families traveling with kids. Some even offer special play areas to keep children entertained while parents dine or shop. Throughout the city, you’ll find lovely parks and unique outdoor spaces that provide little ones enough space to roam, run and burn energy. While adults will want to visit popular places like Old Town Prague and the Charles Bridge for their picturesque qualities and historic charm, children will also enjoy these areas for the lively atmosphere created, in part, by funny street performers and entertainers. If you’re traveling with older children or teens the famous John Lennon wall is a must-visit attraction. The iconic wall has become a colorful international symbol of hope, love and world peace. Purchase an inexpensive can of spray paint and let your child leave an inspiring message for future visitors to read. It is a great way to encourage conversation about both past and current world events. Finally, people of all ages will enjoy wandering the cobblestone streets while savoring a trdlnik. This heavenly cylinder-shaped dessert is cooked over a warm oven and covered in sugar. The delicious, doughy treat will bring out the kid in everyone! Anda from Travel Notes & Beyond: Romania is one of the most overlooked countries in Europe. However, those who venture here are surprised to discover how beautiful this country really is. The more famous part of Romania is Transylvania, a region blessed with amazing natural beauty and charming medieval towns. One of these is the city of Sibiu, which dates back to the Middle Ages. Sibiu has one of the most authentic and well preserved historic centers in all of Europe. Sibiu is a pedestrian-friendly city, therefore it’s very easy to explore with kids. The upper town is home to most of the city’s historic sites, like the Brukenthal Palace, the Catholic Church, the Generals’ House and the Bridge of Lies. 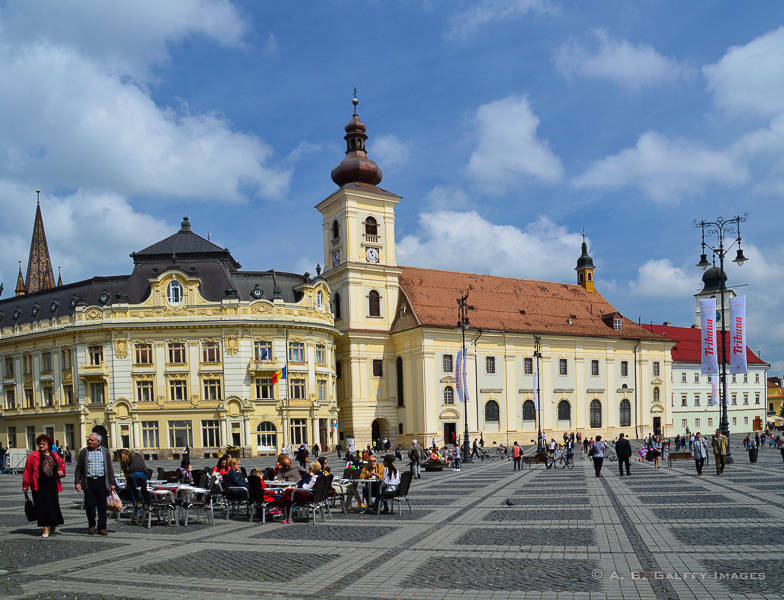 Also, three of Sibiu’s beautiful squares are in this part of town (Huet, Kleiner Ring, Grosser Ring). Meanwhile, the lower town has a succession of smaller squares surrounded by very colorful houses. There is a labyrinth of narrow streets, steps and covered passages that connect the upper and the lower town. Going up and down these stairs is always fun for the children. Another fun attraction for kids in Old Town Sibiu is climbing up the Council Tower for a bird eye view of the area around. 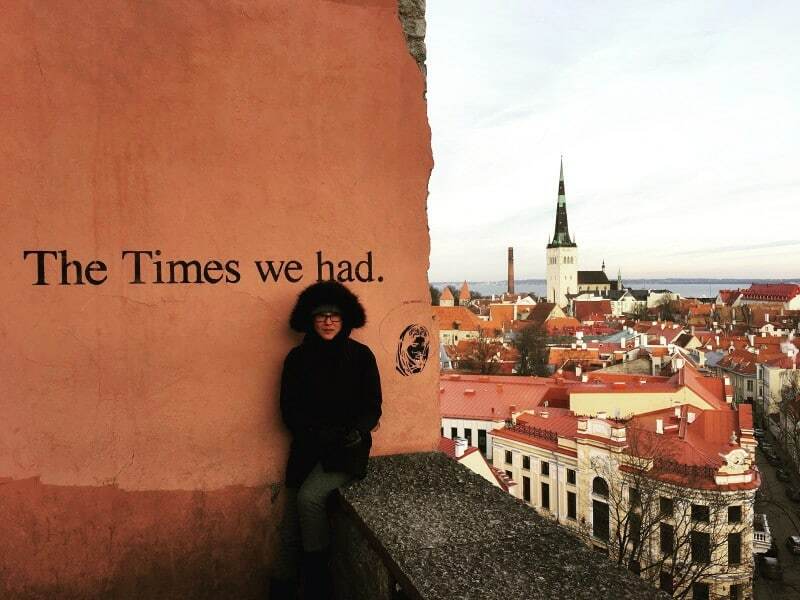 Amy from Family Globetrotters: Tallinn is not usually the number one choice for family travel, which therefore makes it a little gem for a East European getaway. Most people make the mistake of making their visit to Tallinn too short and feel that a day trip across the Baltic Sea from Helsinki is enough. I implore you to spend at least 2-3 days here with your family, to explore this beautifully interwoven culture of the medieval and the contemporary. Known as the most beautiful Old Town in all of Europe, this historic town centre is a UNESCO Heritage Site. The kids will feel as if they have stepped back in time or into a movie set as they trample across the cobblestone streets. They will discover a realm of castles dating back to the 13th century, old Gothic buildings and traditionally clad folk in restaurants and open stalls. The lookout from Toompea Hill is a must-visit and ice skating in the open-air Harju ice rink in the winter is an awesome activity for the whole family. You can also check out the Kalev Spa Waterpark, Nõmme Adventure Park, the puppet museum with the “Cellar of Horrors” and the Estonian Open-Air Museum. For the little kids, hop on the City Train that meanders through the street of the Old Town. Food was a big component of our visit as we gorged on Russian dumplings, ginormous fresh pretzels and grazed on local favourites, dried Elk and Reindeer. I know, not for everyone but hey, “when in Rome!”. We also enjoyed shopping in Talinn, as there are lots of local designs and crafts to be found. My daughter picked up some really cute souvenirs for her friends at home. So, if you’re ever near the northern back of Europe, do add the eclectic city of Tallinn to your itinerary. It remains one of our favorite holiday destinations for families! Rahma from The Sane Adventurer: Tbilisi is the capital city of Georgia and located in Eastern Europe. It’s an old cobbled-street city giving the perfect vibe of vintage European architecture. 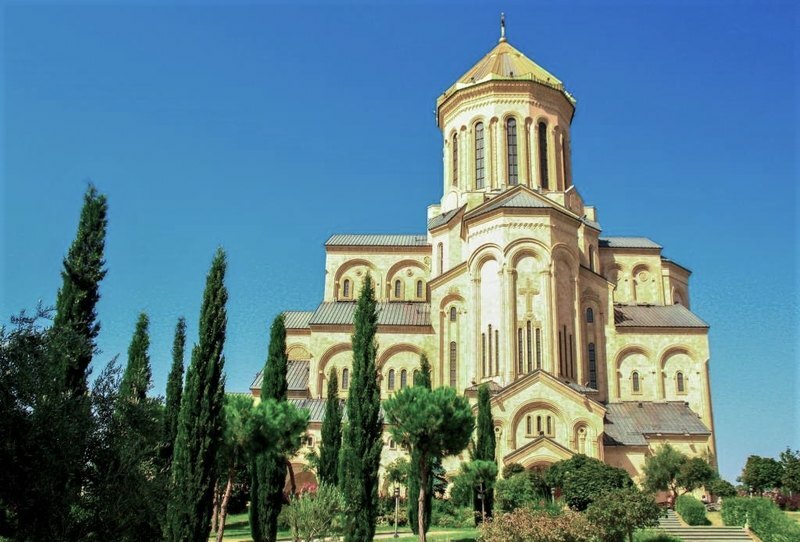 Surrounded by hills, Tbilisi is home to the famous Sulphur baths and one of the largest churches in Eastern Europe: the Holy Trinity Church. Infused with a long history of war and a successful Kingdom rule, which made Tbilisi what it is today, the city is also an ideal place to visit with your family. There is a lot of history to be learned. From the Soviet war-torn museums in the outskirts of the city to the history of the emergence of Christianity and the Soviet war, Tbilisi has a lot to offer to the curious traveler. It also holds a unique intercultural diversity due to its link with the Arabs and the Ottoman Empire. With tourism and infrastructure currently booming in the city, Tbilisi holds a huge potential to become an ideal tourist destination in the near future. Be sure to plan a family trip here before that happens;-). 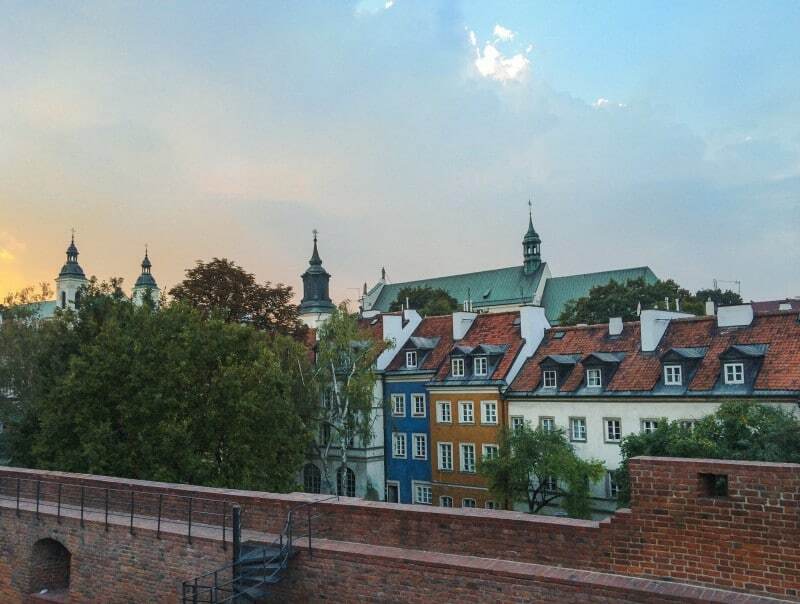 Maria and Rui from Two Find a Way: Warsaw is one of Europe’s best-kept secrets. We fell in love with the city during our Erasmus exchange periode in Warsaw, but it is also one of the best cities to visit in East Europe with kids. To add to its stunning Old Town, there are beautiful parks wherever you go. Each one has a special charm and specific areas your kids will love to explore. The most famous one is the Royal Lazienki, complete with palaces, a beautiful lake and even a Chinese garden. Right next to it, you can find the University of Warsaw Botanical Garden, a place where you can learn more about the nature around you. If you are looking to get out of the center, there are even national parks located in the outskirts of Warsaw. The capital of Poland is also filled with museums, many of which are new and interactive. We’re sure your whole family will love the Copernicus Science Center, with a stunning rooftop garden. Plus, it’s located next to the Vistula river, a perfect area for a (long) walk. As a bustling European capital, it’s no surprise that Warsaw’s food scene is on the rise. Due to the city’s affordability, it is the perfect place to enjoy food from all over the world. And of course, don’t forget to indulge in delicious Polish food as well! Corinne from Reflections Enroute: Wroclaw is a city in western Poland and very easy to get to from many places in Europe, especially cities like Dresden, Berlin or Prague. I think it’s the absolute best city for kids anywhere in the world. Why? 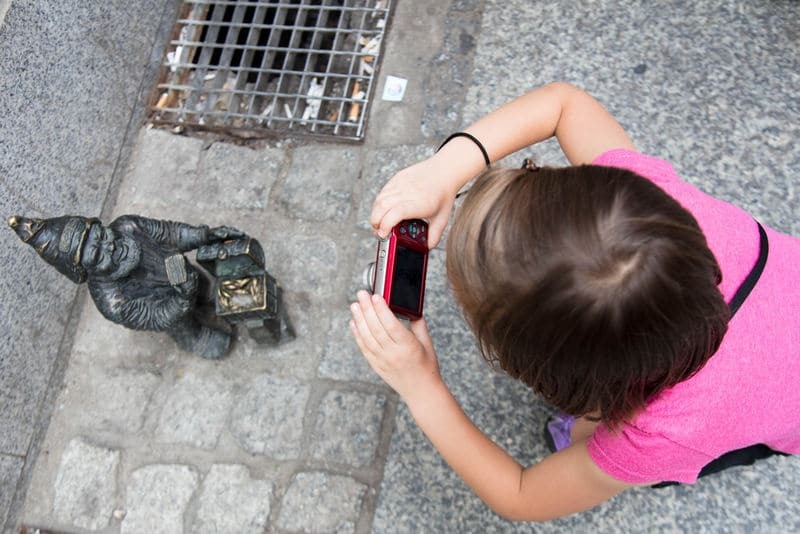 Wroclaw has mini-statues, gnome-sized statues to be exact, set up all over the city. Kids of all ages will enjoy searching for the over 300 statues. We’ve been a couple of times and it’s such a unique place that we continually bring more families to experience it. No longer are there complaints or whining as you trudge to all the city sights. The kids lead the way! The statues show the gnomes doing everything normal humans would do and since they are often paid for by a business, they will highlight that business, like a pierogi restaurant or ice cream store. We found gnomes going to the ATM, being a tourist, playing in the symphony, riding motorcycles, really doing all kinds of things. The statues aren’t really hidden, but since they are small, some are harder to find than others. You can buy a map that shows where some of the gnomes are located at the tourist information center, but honestly it’s more fun to find them on your own. All children love going on a city gnome hunt; I know I did. If you are going to take your kids to East Europe, Wroclaw is a must-see city. You will want to go back again and again. I hope this list has given you plenty of inspiration for your next family trip, happy travels! Great list of European cities! I visited most of them and I can say they are all great destinations for families with children. I love this list – there is an endless list of great places to visit in Europe! Athens and Istanbul are high on our wish list when we next return to Europe. Thank you Rachel! We visited Athens in October with our then 3 month old baby and it was great! I haven’t been to Istanbul but would definitely love to visit… But there are soooo many more beautiful cities in Europe (and the rest of the world;-), it’s difficult to choose. I love Eastern Europe – is is so underrated region and you can go on a tight budget there! Lovely list and amazing places.